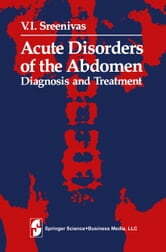 The acute abdomen often perplexes the expert as well as the young physician. There are few areas in medicine in which Hippocrates' aphorism-the art is long, life is short, decision difficult, and delay perilous-is more applicable than here. Too often the harried physician fails to listen to the patient who is trying desperately to suggest the diagnosis. The significance of various types and location of pain often are neglected by the doctor. Physical findings are influenced by experience; the presence or absence of tenderness or a mass may be answered in entirely different ways by various observers. Because solid facts frequently are lacking, attempts to resolve diagnostic dilemmas by computer analysis or by algorithms are not likely to be successful. Fortunately, in the great majority of cases, unusual and difficult diagnostic procedures are not necessary for the identification of the acute abdomen and of the major disease. Astute clinical judgment must be based primarily upon careful attention to the pa­ tient's words and detailed observation.